If there is no hope of turning your company around, the main responsibility for directors whose company can no longer pay its creditors, is to stop trading immediately. Although this seems like a drastic step, it will protect you from accusations of wrongful trading should there be an investigation into how the company was run. Both secured and unsecured creditors will need to be notified that trading has ceased, and you should seek the advice of a licensed Insolvency Practitioner regarding the next steps to take. 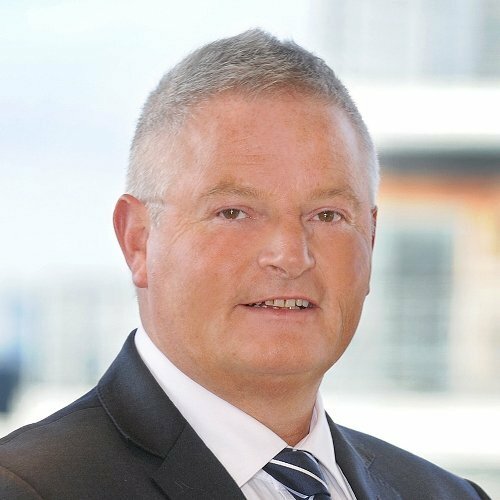 Begbies Traynor are insolvency practitioners with vast experience in corporate insolvency procedures. A Company Voluntary Arrangement is a formal insolvency procedure that extends payment terms to allow recovery from cash flow problems. Terms are negotiated on your behalf by an Insolvency Practitioner, giving you valuable time to restructure the business or otherwise turn its fortunes around. A Company Voluntary Arrangement allows directors to remain in charge of operations, and the company to trade again. Interest and charges on company debts are frozen, and your creditors will be unable to take any legal action against you to recover their money as long as CVA terms are adhered to. A significant advantage of consolidating debt repayments into a single payment is that extra working capital is freed up, which sometimes, is the only thing needed to make the company profitable again. A CVA is preferable to the alternative of making informal arrangements with creditors, which may have already been attempted as insolvency approached. The fact that an IP is working on your behalf carries a great deal of influence with suppliers, who often feel that their interests will be placed to the fore. If your company is under threat of legal action from creditors, placing it into Administration may be the best option. Control of the company would transfer to a licensed Insolvency Practitioner, who may decide to sell some or all business assets to release money for creditors. This may be a good option if your company owns considerable assets which can be sold to repay creditors. The ensuing reduction of debt may be all that is required to get the company back on its feet, albeit with a change of structure. Pre pack administration differs from ‘standard’ company administration because the underlying business is sold to a third party, trade buyer, or to the existing directors. Being sold as a going concern retains the value of assets, and the speed of sale is integral to its success. Negotiations for sale are carried out prior to the appointment of an Insolvency Practitioner, making this an extremely efficient and practical way to deal with an insolvent company. It is rare that suppliers and other creditors even know what is happening, but they often benefit from this process simply because of its speed. The value of assets is retained, offering them a potentially higher return than if the company had been liquidated. Although it often has a negative image in the minds of creditors and the general public, who consider it unethical that directors of a failed business can simply pick up the reins of a new company, pre pack administration can save jobs and provide uninterrupted trade with existing suppliers, without the strain of unpaid debts. CVL is the process by which directors and shareholders place the company voluntarily into liquidation. An IP is appointed to administer the process, sell business assets, and close down the company. If you cannot pay your suppliers and see no hope for the future of your company, this route into insolvency could help you avoid allegations of misconduct because you have placed creditor interests above your own. Your IP takes control of the company once appointed, and must be provided access to all company records including accounts, payroll and asset information. Although it can be the cheapest option, compulsory liquidation carries with it a greater risk of misconduct accusations. During the process, one or more creditors petitions the Court to liquidate your company. All assets are sold, and the money used to repay creditors. The creditor can petition against you through the courts if they are owed more than £750, and have made previous demands for payment which have not been met. In practical terms, compulsory liquidation will see your company bank accounts and all business assets frozen. As a director, you will also be at greater risk of ‘misconduct’ allegations if you choose this method. As a result, you could face personal liability for company debts, fines, and penalties including disqualification from being a company director for up to 15 years. 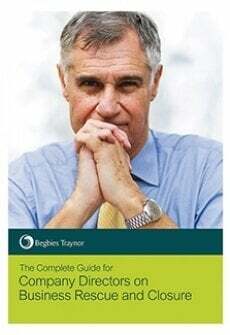 Begbies Traynor provides professional advice to directors of companies in distress. Operating from an extensive UK office network, we offer an initial consultation free of charge to establish the best possible outcome for your company.